Have you ever been to an Italian wedding? 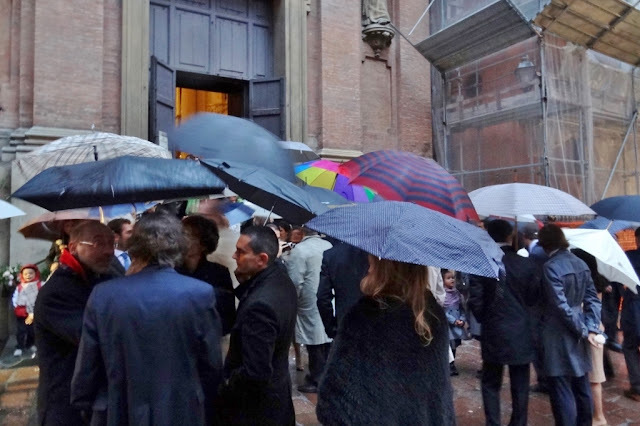 We haven’t but last year in Bologna we made sure to be present outside a church when one marriage was being sealed with rainfall just after the ceremony. We attended a guided tour in the historical centre. 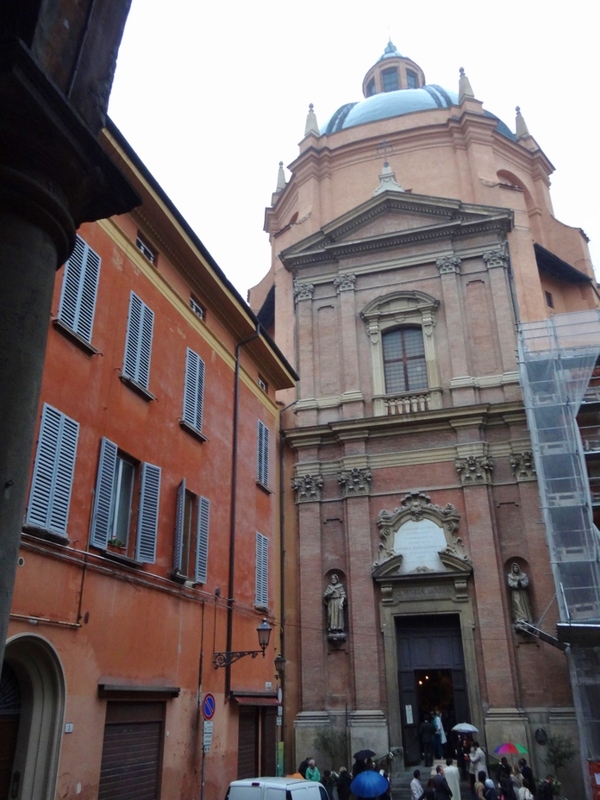 One of the sights we were supposed to stop by was the Sanctuary of Santa Maria della Vita. It turned out we literally had to stop by the church, twice. 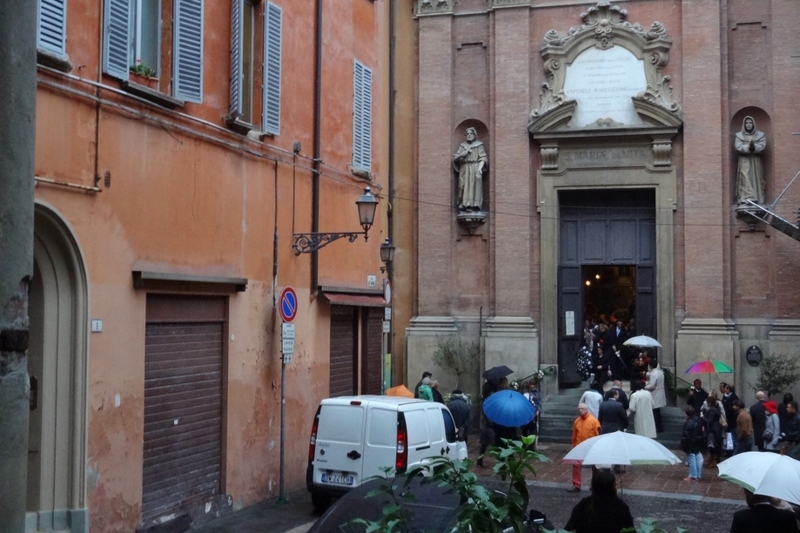 Even the second time we walked by, the guide couldn’t take the group in because a wedding kept going on in there. 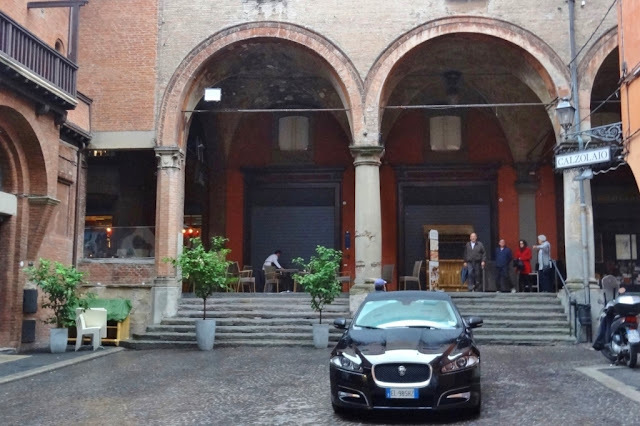 When the tour ended I insisted we pay a third visit to the piazza in front of the church so that we might see a glimpse of the happy couple, and who knows could even pop into the sanctuary, which served as my excuse to him. 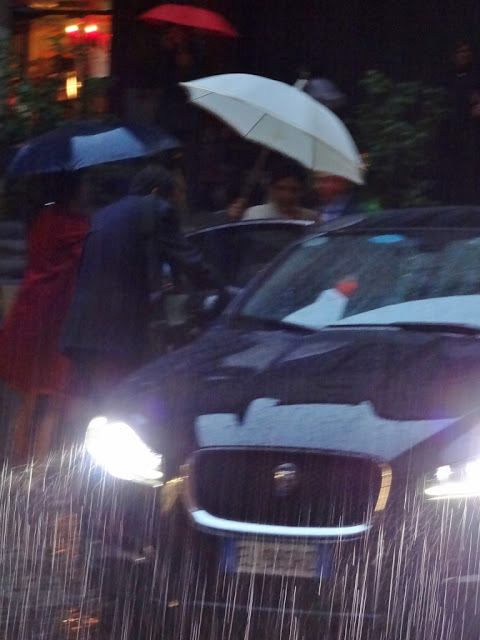 Despite the poor weather, he didn’t protest, presumably because it was sort of on our way towards the hotel. 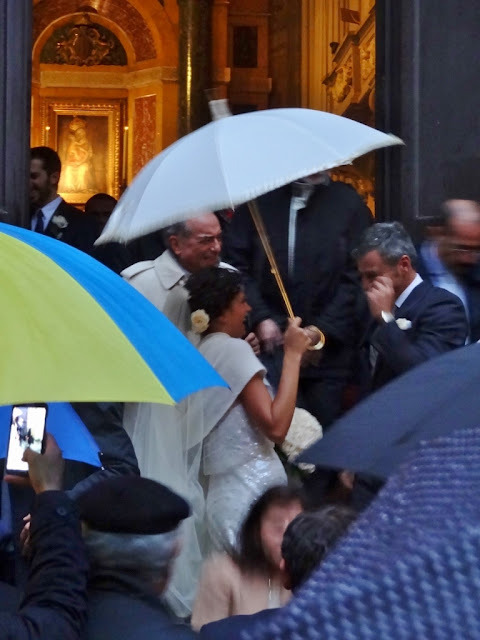 Within minutes, we did see the newlyweds and the rest of the wedding party stepping out of the church. There is something thrilling and uplifting in any wedding. Even if the couple were total strangers to you their happiness and the uniqueness of the moment will capture your attention and move you. After a few moments of congratulations, joyful ripple of conversation and some photos it was pouring. The beautiful bride with her lovely ball bouquet of white roses had to rush to the car and off they drove to celebrate their bliss. We found ourselves bold enough to sneak into the church while the last few guests who had stayed behind chatting were slowly moving to the door, not that anyone would have minded. There was a brief window for us to take a quick look at the artworks while a couple of ladies were stripping the gorgeous garlands with bouquets of white and pale pink from the ends of the pews, probably to be taken to the wedding dinner venue. With that amount of downfall on their special day this bride and groom should stay happy for a very long time. 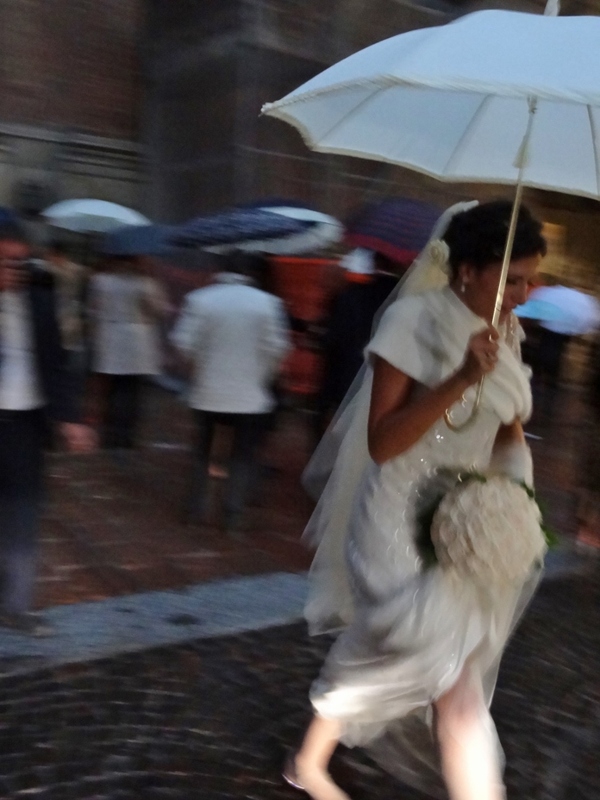 Like they say in Italian, ‘Sposa bagnata, sposa fortunata.’ A wet bride is a lucky bride. This couple recently had their first anniversary. 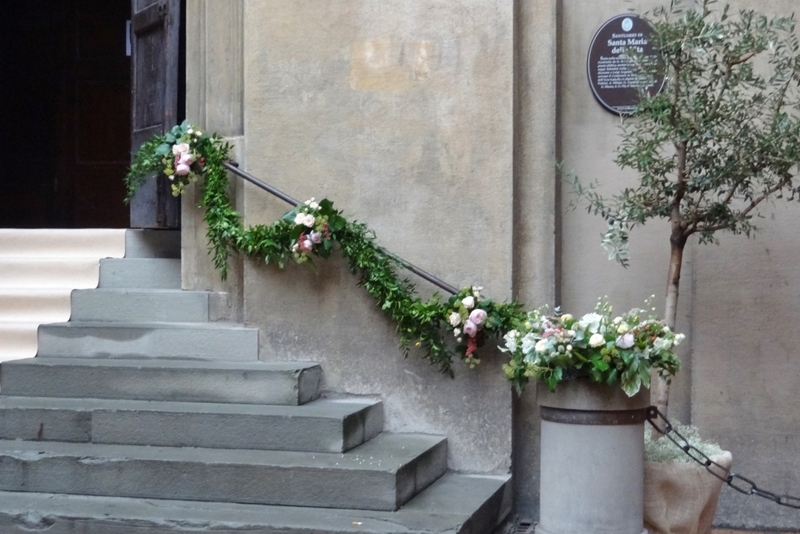 I do hope they felt as blessed as on their wedding day in early October last year. The second one has proven happier also in my case, even without the rain.